New iPhone 6s are not bent and do not scratch. They do not lose the network, if they get something wrong, and deprived of many other “diseases”. However, the launch of the device was not fully smooth. The most interesting revealed that the iPhone 6s come across the processors by Samsung and TSMC, which are not only different visually, but work differently. Now buyers, printing packaging, I hope they got a smartphone with a processor from TSMC, which according to the test results less heated and more energy-efficient. 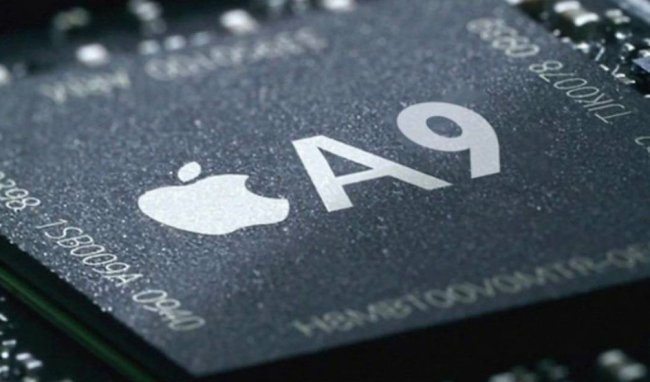 Apple reassured customers, saying that the difference in the processors is quite acceptable, and iPhone 6s with a chip from Samsung can operate on battery power only for 2-3% less. Ars Technica conducted its own research, testing the battery life of the iPhone 6s with chips from different manufacturers. The test results can be seen on the chart. 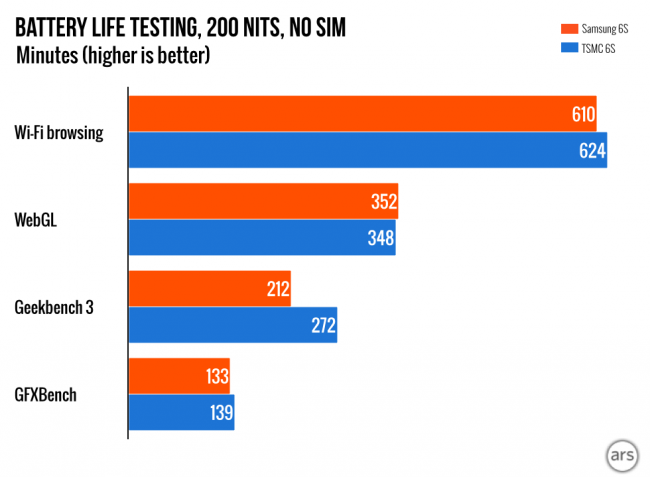 For the test, Ars Technica set the display brightness to 200 nits and removed the SIM card from smartphones. As you can see, the processor A9 from TSMC has proven to be more energy efficient, but only slightly. Moreover, when working with WebGL it was even a little bit less power efficient than the chip from Samsung. iPhone 6s with a chip from TSMC has been able to work out for 14 minutes while using the browser via Wi-Fi, and this is the most significant difference, which could tell the tests. The GFXBench test showed the difference in 9 minutes and only Geekbench 3 showed the difference in an hour that a bit corresponds to the difference, which says Apple. However, synthetic tests synthetic tests remain.